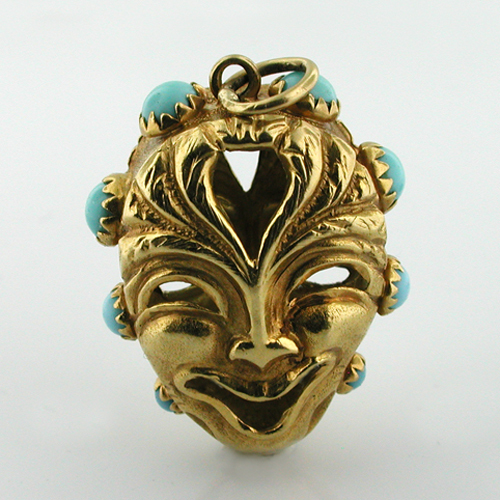 This is a vintage 18K gold Comedy & Tragedy Mask charm. 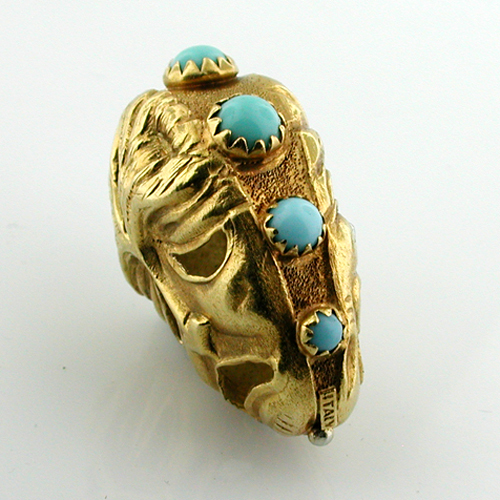 Enhanced by 8 Turquoise cabochons. 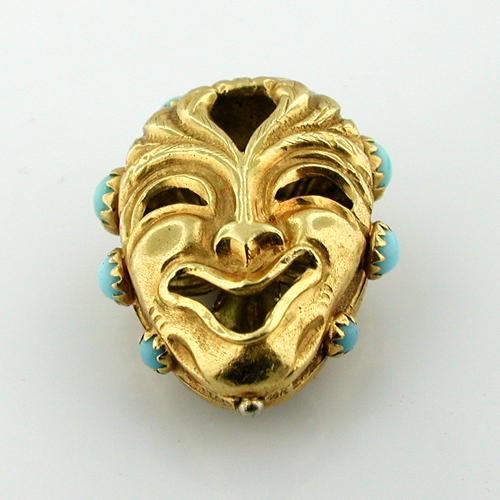 Measures 1-1/4" x 1" x 5/8" (33.3mm x 24.8mm x 16.2mm) and weighs 8.7 grams. 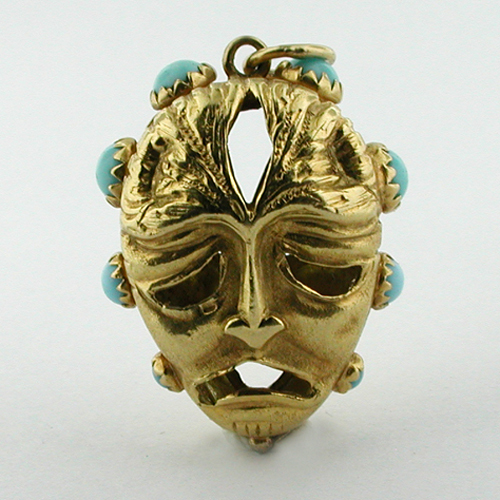 Marked 18K ITALY. 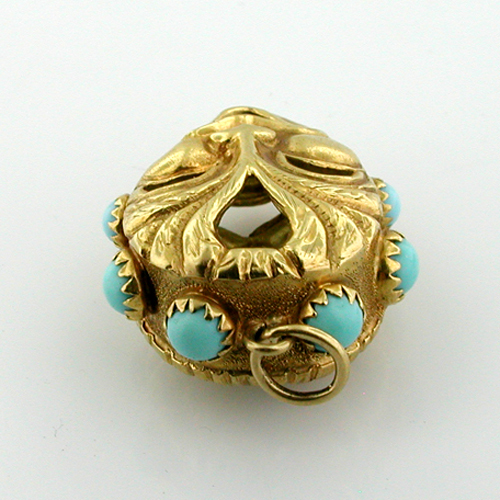 The charm is in very good vintage condition.